In his career spanning more than a decade, GV Prakash has defied all odds to be where he is today. When he started as a music composer in 2006 with Vasanthabalan's Veyil, it was a dream debut for the youngster. Then came the inevitable comparison with his illustrious uncle - AR Rahman. He isn't that great - his critics said comparing him with the legends of Tamil film industry. And then, he delivered one hit after another over the span of next few years to prove everyone wrong. Having collaborated with the likes of Vetrimaaran, Bala, Anurag Kashyap and Atlee, to name a few, GV Prakash's career as a music composer was going great guns, until one fine day, AR Murugadoss planted the idea in his mind that he should consider acting in films as well, besides composing music. It's been three years since he started acting, during which he established himself as a quintessential boy-next-door with films like Darling, Pencil and Trisha Illana Nayanthara, and he's showing no signs to go slow in near future. GV Prakash in Bruce Lee. Image from Twitter. This year alone, he has signed up films with the likes of Bala, Vetrimaaran, Rajeev Menon and currently, he's awaiting the release of Prashanth Pandiraj's Bruce Lee, a dark comedy. "My previous films had slapstick humour or dialogue-based humour, but 'Bruce Lee' is more like a Guy Ritchie film. I was quite impressed with the dark humour in the story and it's something I have never done before. Besides, Prashanth, who started off as a short filmmaker, comes with a lot of energy and zeal. The whole team was pretty young. It felt like I was going back to college," GV Prakash says, adding, "I have a dream that one fine day my films will be dubbed in all languages and released all over the world. It's something which SS Rajamouli has been able to achieve in recent years and I would like to be in the same zone." 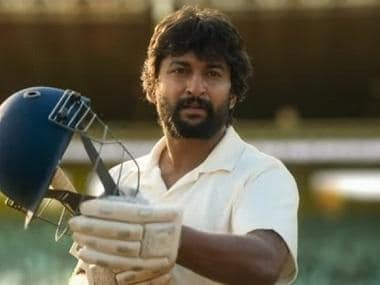 Incidentally, after films like Trisha Illana Nayanthara, Enakku Innoru Per Irukku and Kadavul Irukaan Kumaru, he's playing a hyper-active, boy-next-door in Bruce Lee. 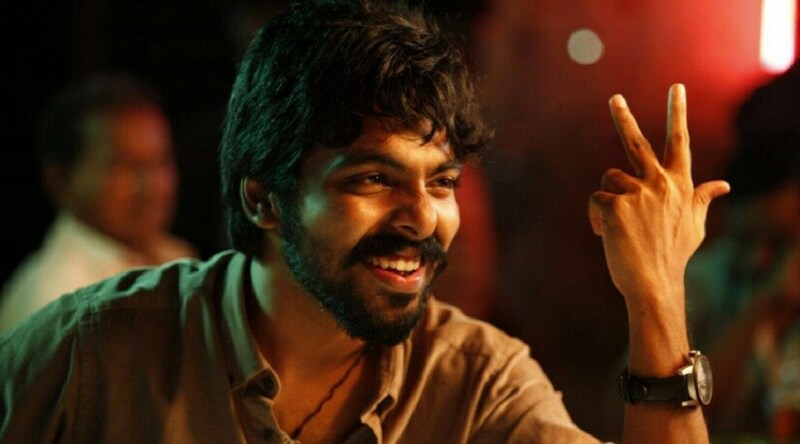 Ask him if it's a deliberate attempt to continue doing such roles, GV Prakash laughs saying, "It's become like that, isn't it? I'm still pretty new as an actor and I wanted to do roles which everyone can relate to. I like being boy-next-door, but I can't be repeating the same stuff over and over again. I need to move on before I'm stereotyped that I only do comedy films. I can promise you that my next set of films with Bala, Vetrimaaran and Rajeev Menon are going to intense drama with a lot of scope for performance. They are going to path-breaking films in their own way." In Bala's Naachiyar, he's cast alongside Jyothika and for the past few weeks, he has been attending a lot of workshops to get into the character. "I have worked with Bala in the past as a music composer. We share a good rapport. He has a very specific vision about what he wants from me and every time I meet him in these workshops, he keeps feeding his vision of my character into my mind. It's been quite a collaborative process so far," he says. Apart from his films, GV Prakash has been in news, of late, for his social activism. Earlier this year, he took part in the Jallikattu movement and earlier this month, the actor joined the villagers in Neduvasal, a village in Pudukkottai district in Tamil Nadu, where scores of people have been protesting against a proposed Hydrocarbon exploration project. The protest, which went on for 22 days, has now been called off after assurances, from the state and central government last week, that no license or permission will be granted for any mining project in the state. Having spent sometime with the villagers in Neduvasal, GV Prakash was one of the several celebrities from Tamil film industry to voice his opinion against the proposed project, and he even released a song - 'Thiyagam Seivom Vaa' - in support of the protesters. "During my visit to Neduvasal, I came across a lot of instances where industrial waste was being dumped on the farmlands, and this led to rise in cancer-related issues. People don't even know how the hydrocarbons are going to be extracted and it could have an adverse impact on the lives of people there. It was quite heartbreaking to see people suffering already. An alternative method is necessary to explore hydrocarbons in the region," the actor avers. He also makes it clear that he doesn't have a political agenda behind doing any of this and hence, he doesn't fear any consequences for his actions. "I'm not related to any political party. As a responsible citizen, I just want to be one among many voices to fight for a cause I believe in," GV Prakash signs off.